December 20th in Wordpress Plugins by Wordpress Jedi . Many of us have raised donations for various causes in the past. If you have a website with a large following, there is no reason you shouldn’t put together events and contests to raise as much money as possible for important causes. Thanks to Donate Plus, you can start gathering donations on your WordPress website. This plugin lets you add donation forms to your website using short codes. It not only displays the amount of donations you have received, it gives you the chance to recognize those who have contributed to your fund raising drive. Most of us prefer raising funds using PayPal. Donate Plus comes integrated with PayPal so you get notified as soon as you receive donations. 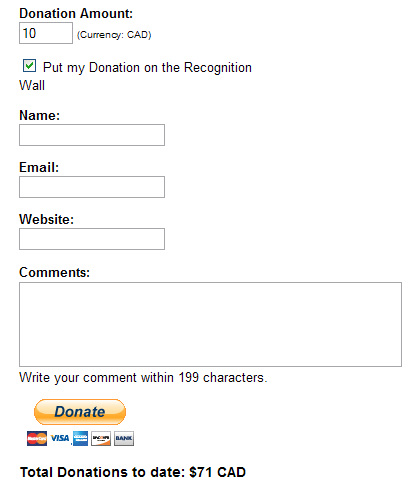 [donateplus]: displays donation form wherever you insert this code. 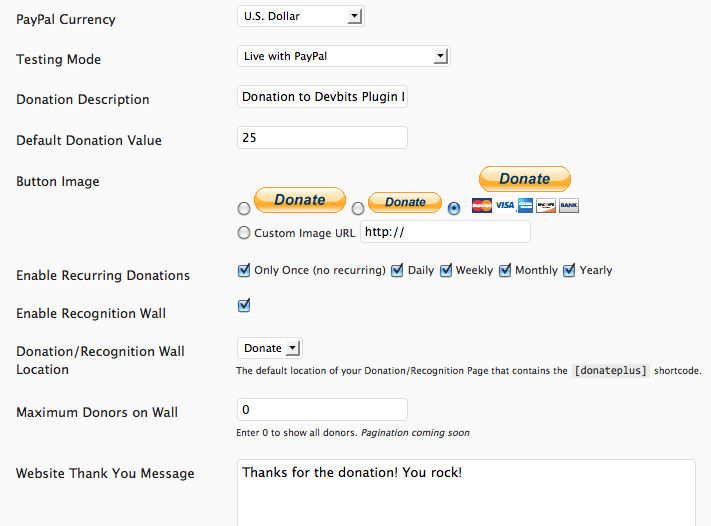 [donorwall]: adds a donation wall to your website. [donatetotal]: shows the total amount of money you have received. Donate Plus supports recurring donations. The donation wall feature is optional. You have the option to automatically send thank you e-mails to donors. Overall, this is a pretty useful tool for anyone needing to raise money for a cause.